Getting married is an exciting time for you and your beloved and one of the most important celebrations of your life! All the planning for weeks will take place in just one day and the event you have been dreaming about your whole life will finally come true! On your wedding day, make sure every detail is perfect and in place. We understand how stressful it can get planning and preparing for the big day but don’t let the pressure get to you. 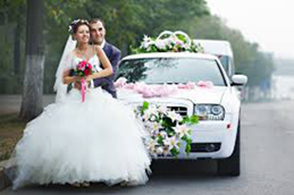 Our wedding limousine service will definitely help lessen your burdens on the day of the wedding and we have courteous and organised staff who will assist you and work closely with you to make everything running smoothly. We provide the best wedding limousine solution in Toorak to fit your specific needs. Toorak is known for its reputation of being Melbourne’s most elite and ranks among the most prestigious in Australia dubbed as one of the most expensive suburbs in Australia. With that being said, we believe you can make everyone’s head turn to you on your big day when you ride in style using one of our classy limousines fit for a wedding. Toorak is a suburb of Melbourne, Victoria, Australia, 5 km south-east from Melbourne’s Central Business District. Its local government area is the City of Stonnington. Toorak has a population of around 13,000 residents. We also offer limousines for high school formal balls, shower parties, graduation and other important events in your life that you’d like to make extra special. Our years of experience in this business are unbeatable and we make sure that our clients have memorable experience with us. Be worry free, arrive in comfort and style and be there on time to start the celebrations! All you need to do is call us and we will give you more details to fill in those gaps if you have been wondering what it would be like on the actual day. Our accommodating and knowledgeable staff will give hand you a list of the itinerary and services we offer.